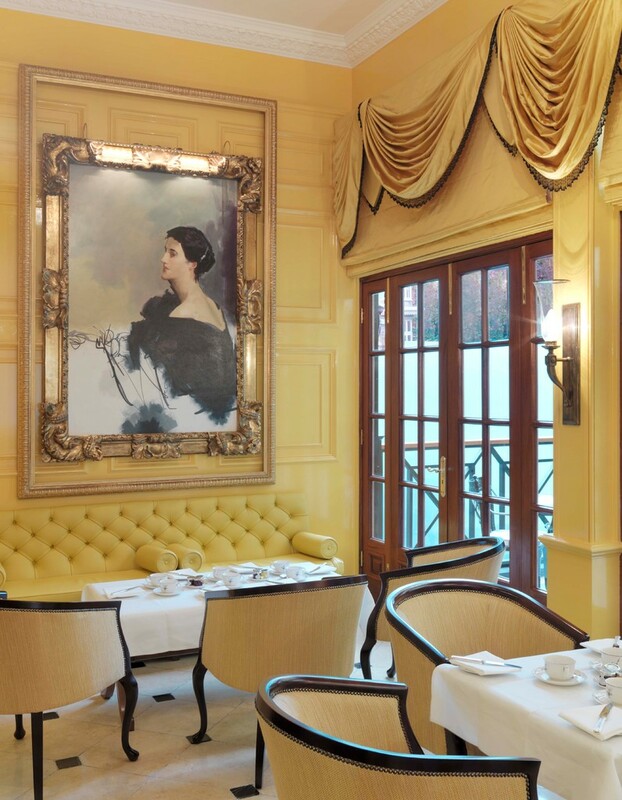 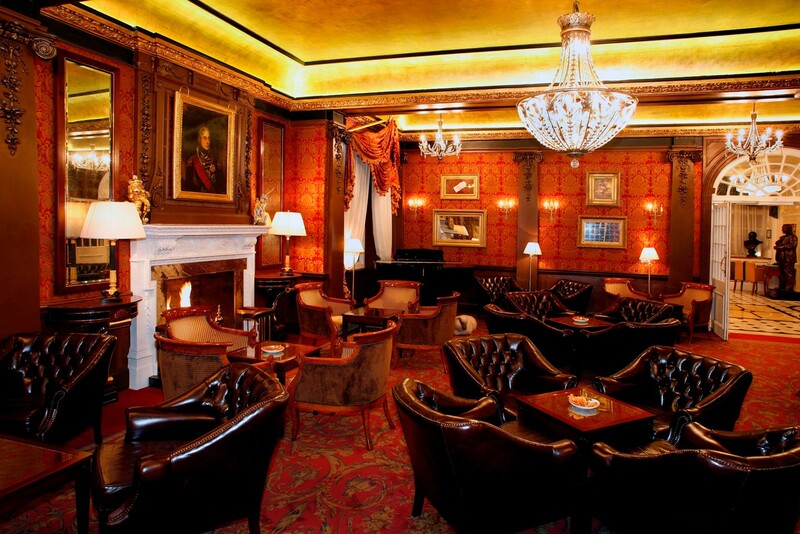 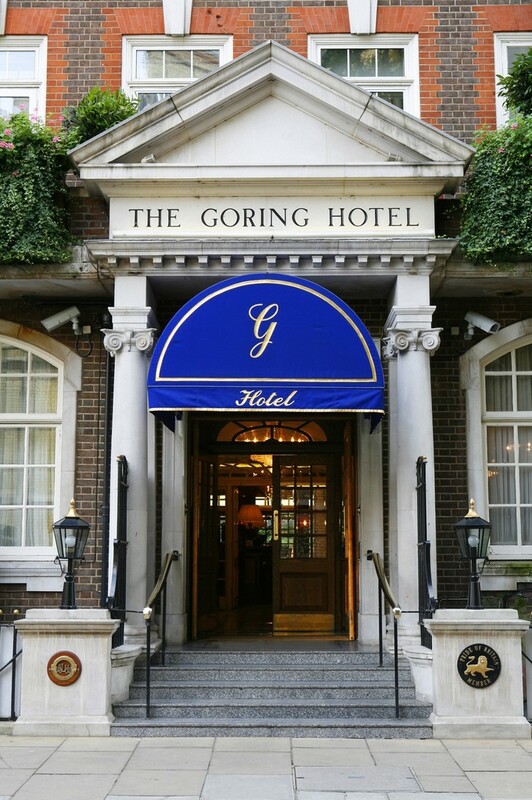 The Goring is the only 5-star hotel in London that is still owned and run by the family that built it, just four Gorings have run The Goring since it opened in 1910 by O R Goring, great-great grandfather of the present Goring, Jeremy. 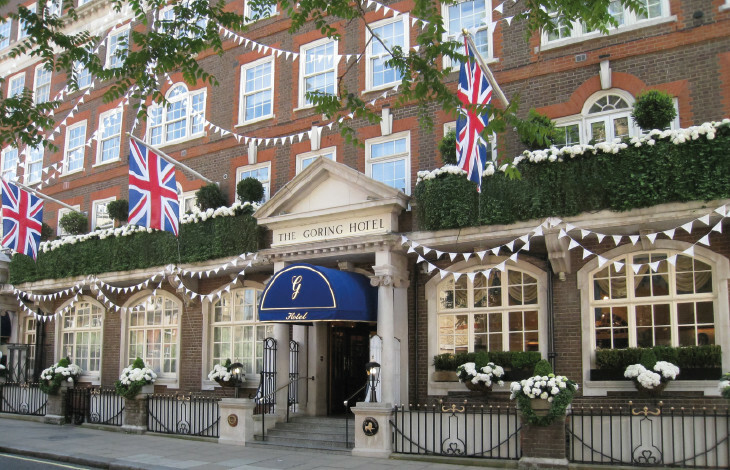 The hotel is situated in a fantastic location, deep in Belgravia within easy striking distance of the best shops, parks, theatres and Victoria Station. 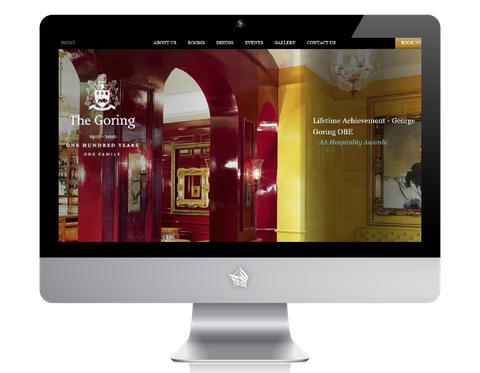 The Goring has sixty-nine individually designed, classically English rooms and suites - many overlooking The Goring Garden, some enjoying a private terrace. 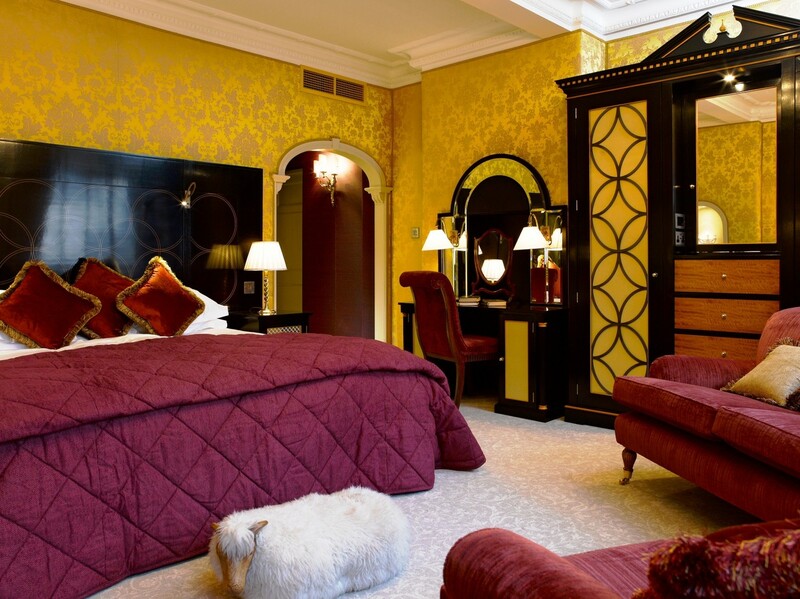 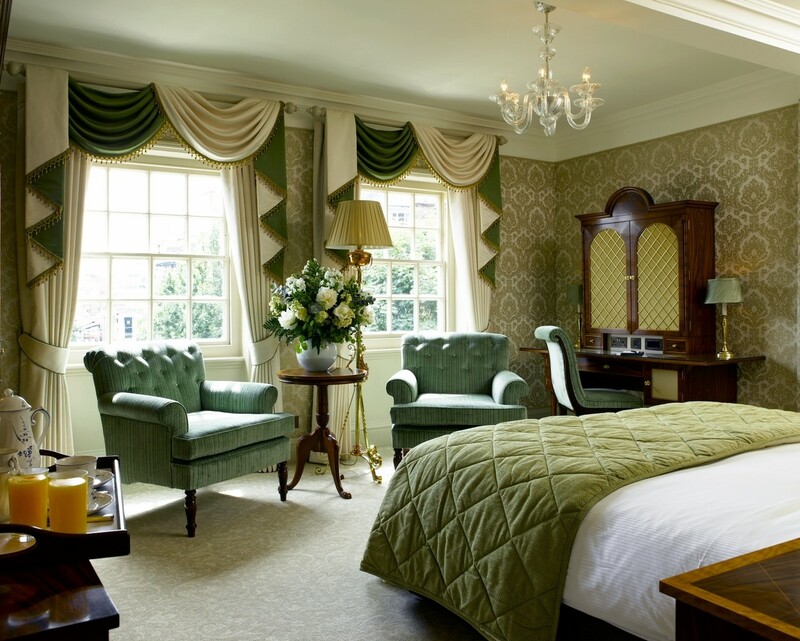 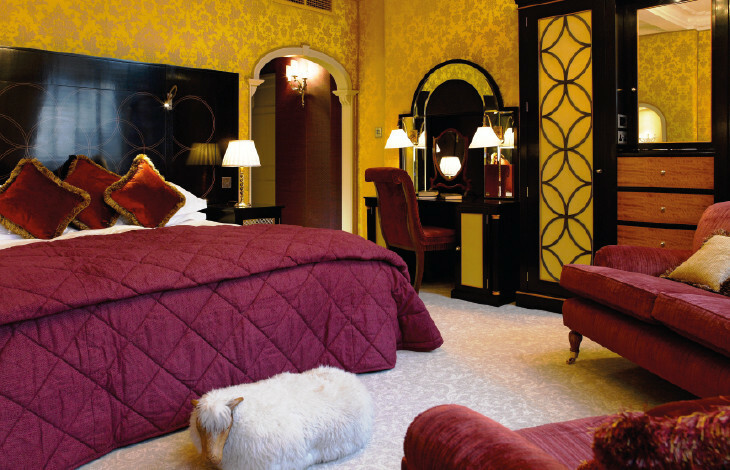 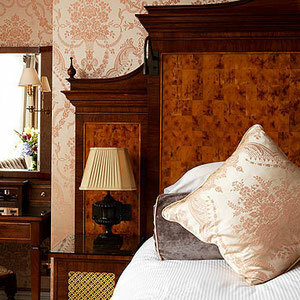 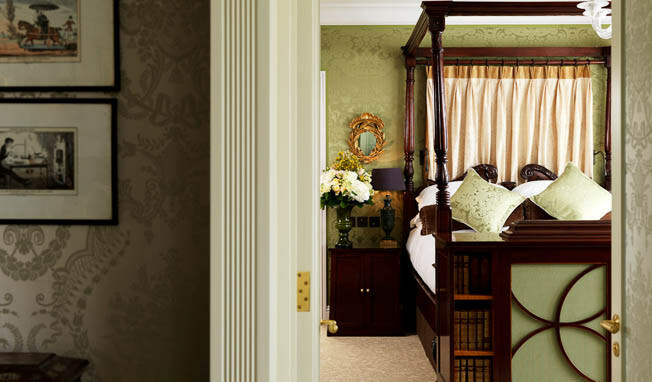 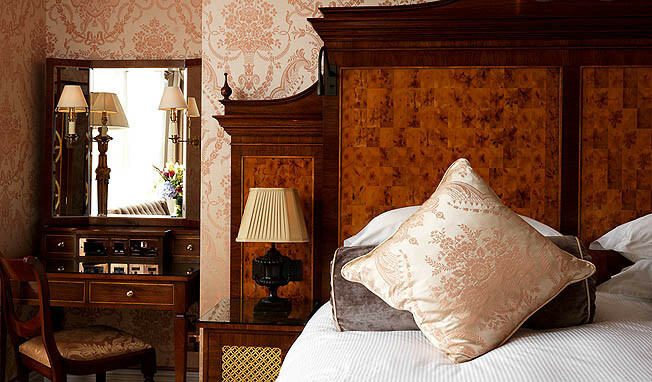 New suites are by Nina Campbell and guestrooms by Tim Gosling (formerly with David Linley) and Russell Sage, featuring bespoke historic fabrics by Royal Warrant Holders, Gainsborough Silks, for the wallcoverings. 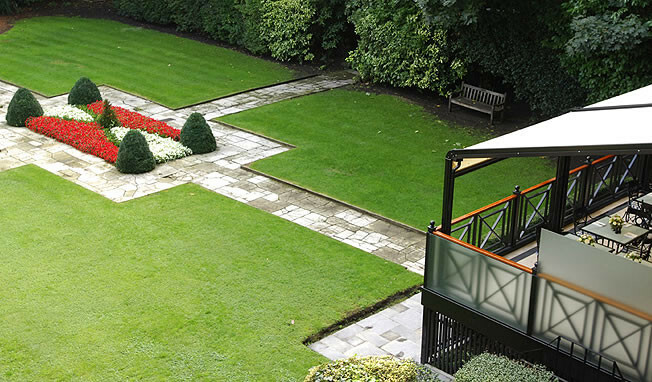 The Goring Garden, at 41 m x 30 m, is larger than Centre Court at Wimbledon and the largest hotel garden in Central London, with a full-time gardener. Big enough for a garden party in a marquee, but small enough to be an incredibly private and deeply peaceful retreat. 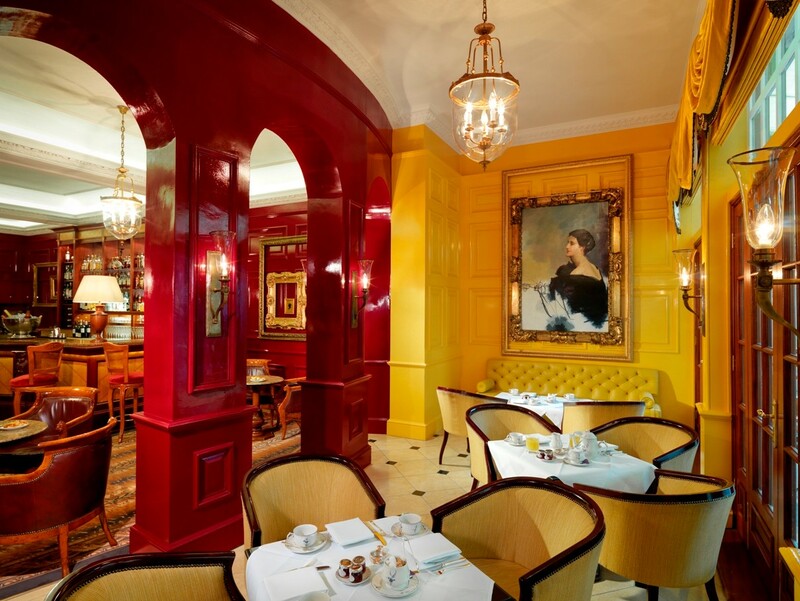 The Bar at The Goring has been gloriously and theatrically transformed by designer Tim Gosling, inspired by Empress Josephine’s Chateau de Malmaison – with gilded ceiling, swagged curtains and bespoke carpets. 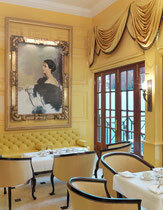 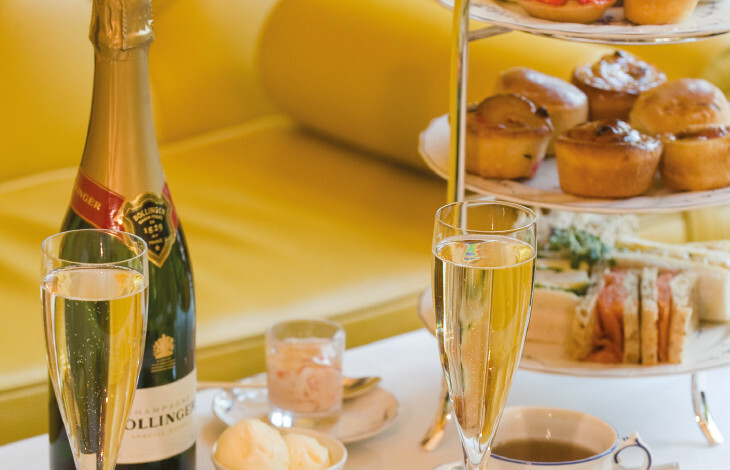 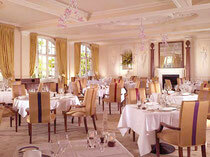 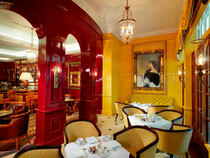 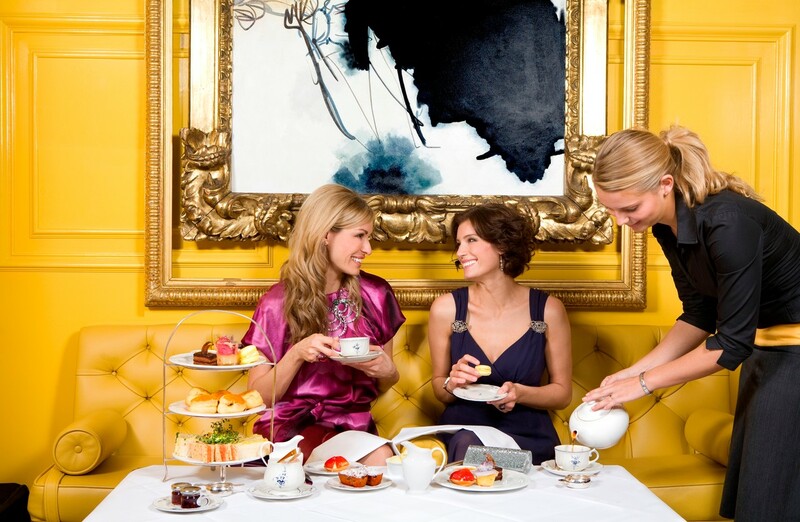 Everything stops for the best Afternoon Tea in London, served on the light-flooded Terrace, overlooking the garden. 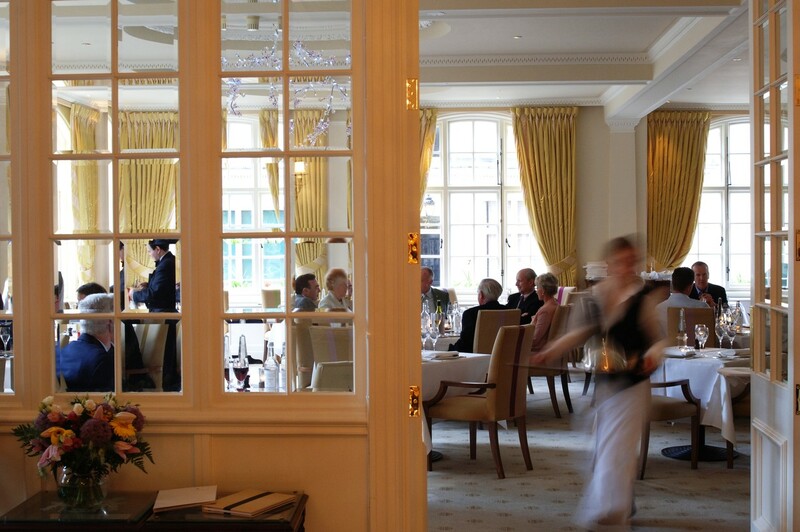 In Summer, al fresco dining on the Veranda is one of the greatest pleasures in the capital. 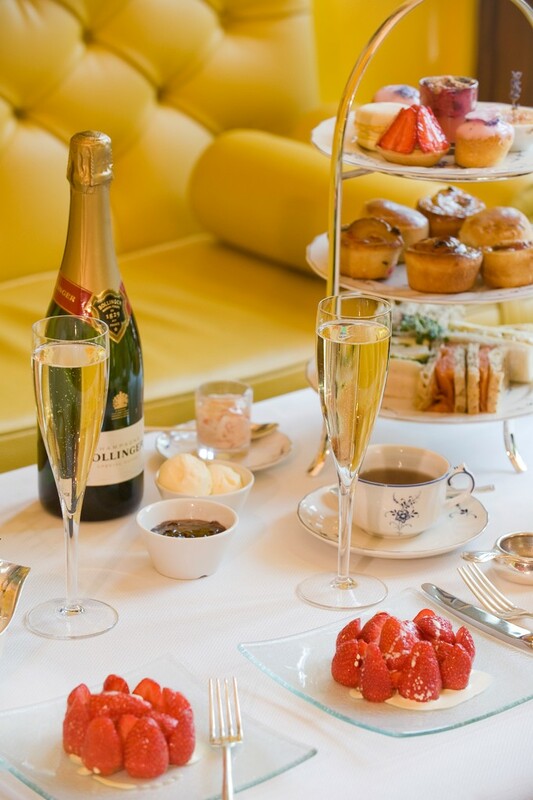 ♦ Afternoon Tea served on the terrace and also the Veranda in the summer. 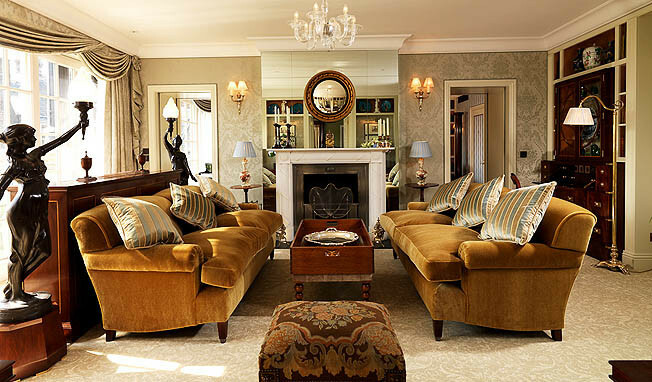 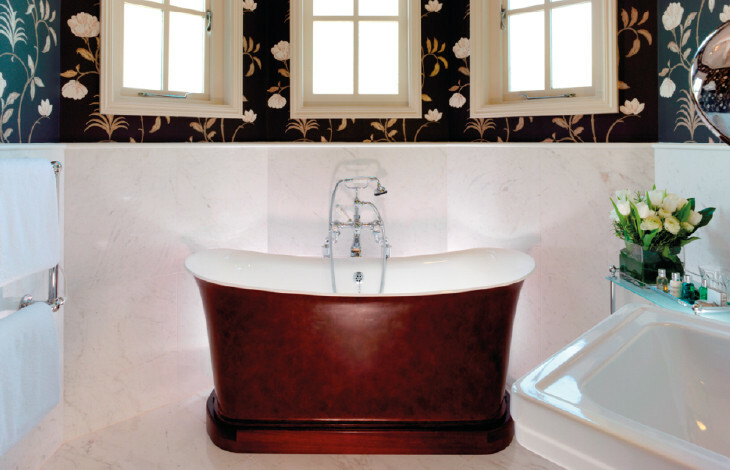 The most glamorous suite in London, The Royal Suite, was unveiled in May 2011 with wonderful English interiors by designer Russell Sage, a collection of antiques gathered from around Britain and a new balcony which runs the entire length of the top floor with large French windows in each of the rooms, opening up onto romantic views over The Goring’s private garden and the London rooftops beyond. 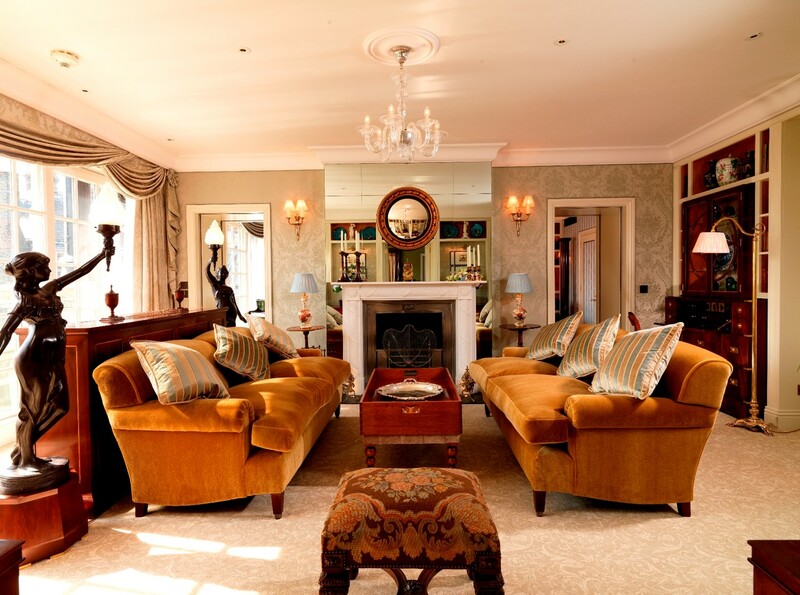 This two bedroom, two reception room suite has raised the bar in the capital. 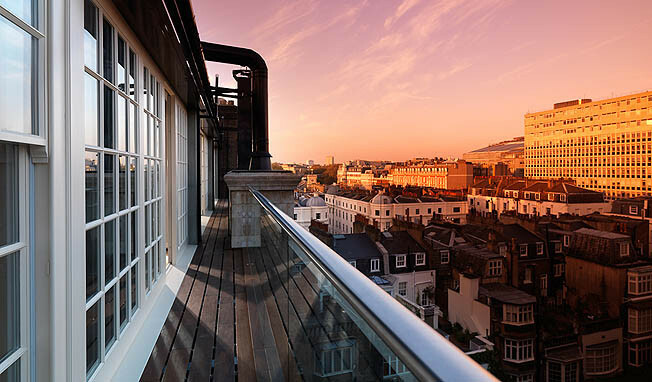 The district of Belgravia is probably the most imposing area of London, characterised by the grand squares, stately mansions and elegant terraces of white stucco houses of the 1820s. 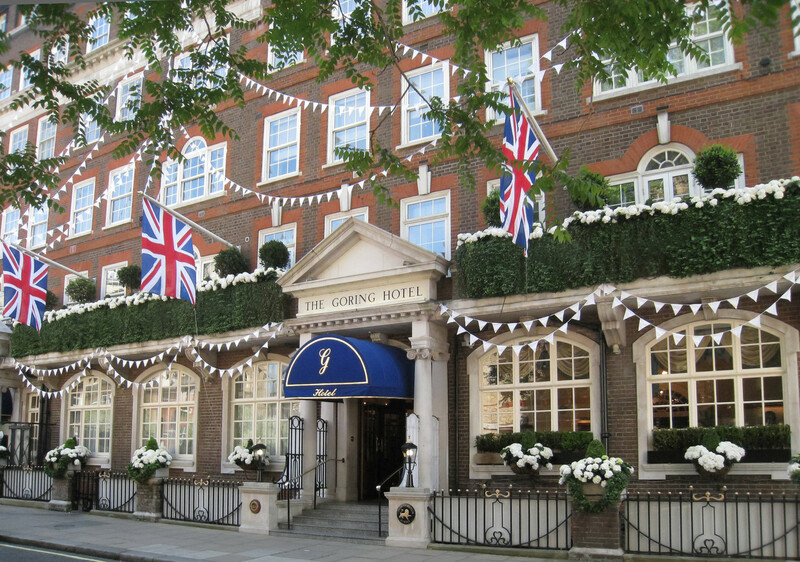 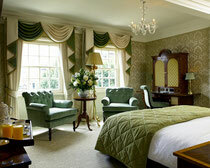 Buckingham Palace borders the district, who The Goring has always considered the nicest of neighbours! 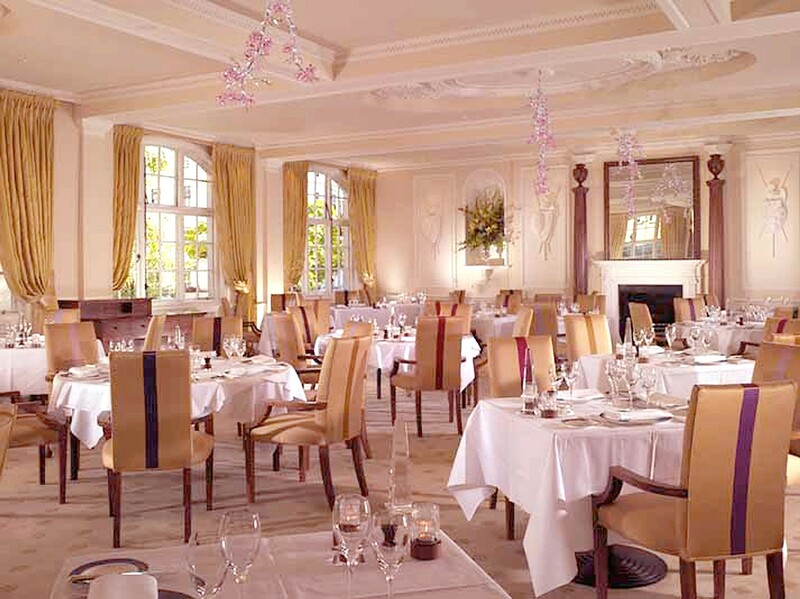 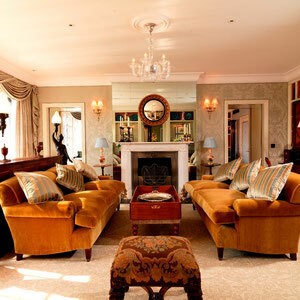 To be located in Belgravia gives The Goring simply the perfect location – in striking distance of the commercial districts of the City and Docklands, close to Theatreland and the bright lights of the West End, and with many historic and exciting sights on the doorstep, as well as superb transport links at Victoria Railway Station. 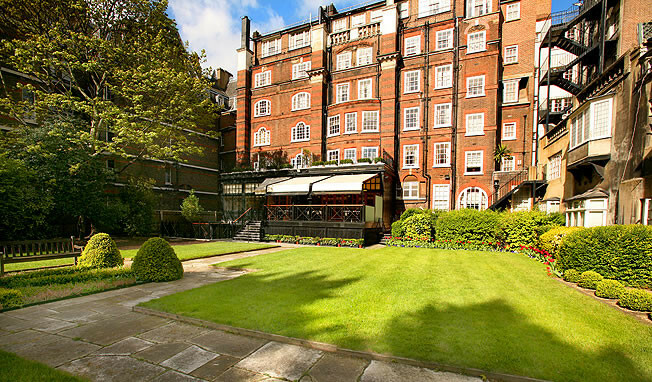 Not only Buckingham Palace, but Westminster Cathedral, Westminster Abbey, the Houses of Parliament and Big Ben, the River Thames and London Eye, as well as London’s great Royal Parks - Hyde Park, Green Park and St James’s Park - are all within walking distance. 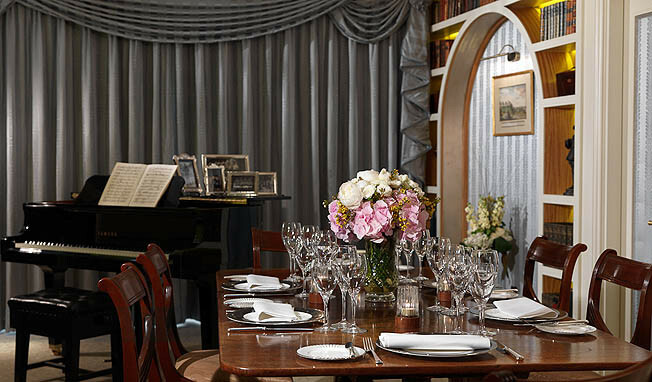 The Goring, of course, offers wonderful choices to dine and entertain, but Belgravia is also home to a host of lovely restaurants and bars, with whom John and the Concierge team will be happy to help make arrangements for you. 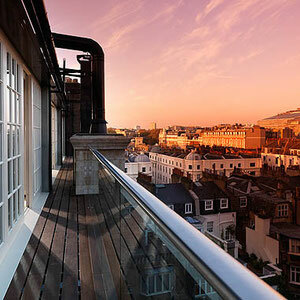 The Victoria Palace and Apollo Victoria theatres are literally around the corner from the hotel, currently playing the hit musicals Billy Elliott and Wicked. 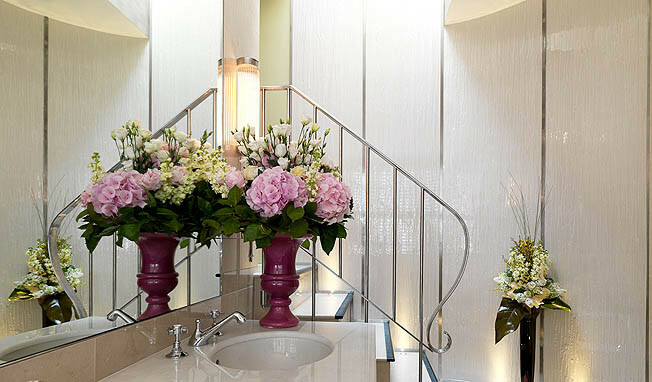 And then, of course, there’s the shopping; from the luxury department stores of Harrods and Harvey Nichols, the fashion boutiques of Sloane Street, to the interiors, art and antique shops of Pimlico Road, as well as the new Cardinal Place shopping precinct near Victoria Railway Station, just moments from The Goring.